Summer is getting HOTTER and so are our DEALS! Drive Away and make your summer picture perfect with your new Toyota! 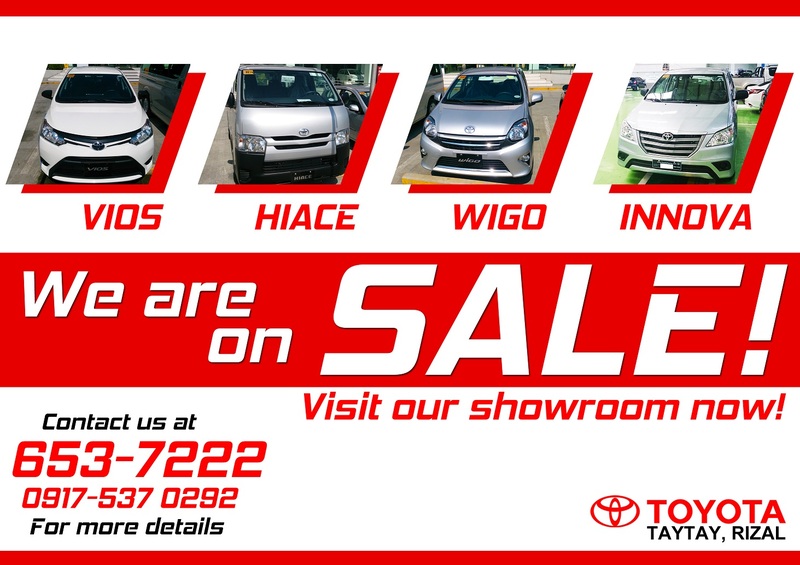 Visit Toyota Taytay, Rizal this April 13-17, 2019 from 7 am to 6pm to enjoy LOW DOWN / MONTHLY PAYMENT and HUGE DISCOUNTS when you apply for an auto loan. Grab big savings on our hottest accessory packages and make your Toyota look more exciting on the road!